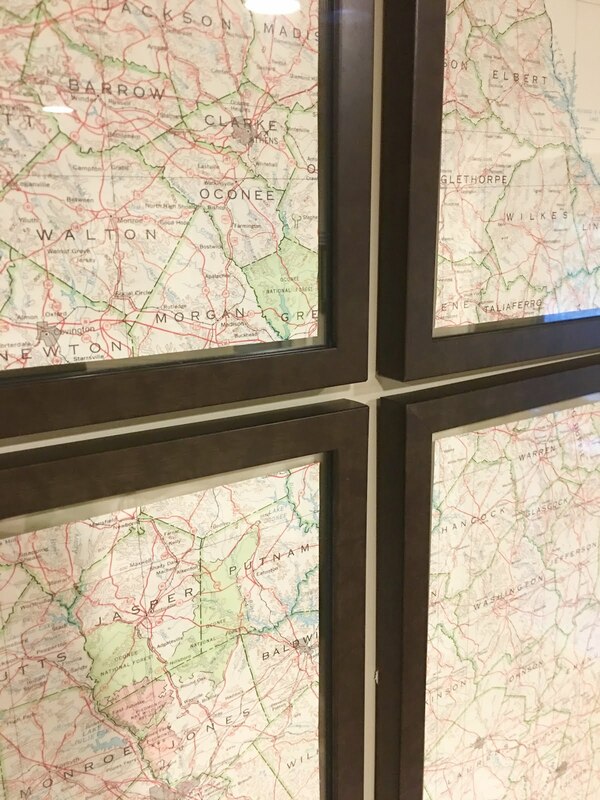 Some of you may remember a project I shared on the blog a few years ago involving framed maps that I have hanging in my family room. 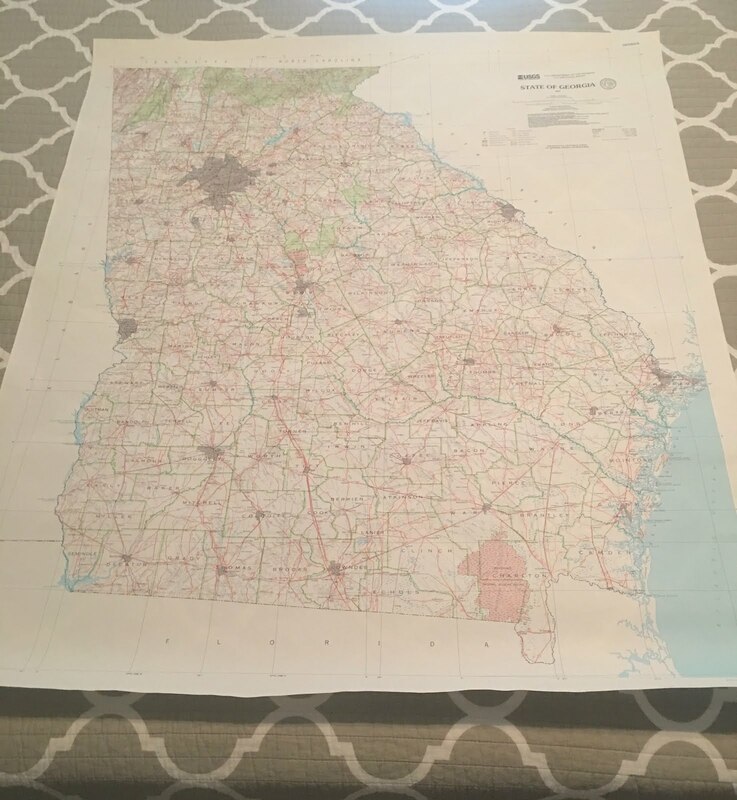 When I ordered all of those maps I also ordered a Georgia state map, because we love to show our state pride around here. Well the only problem with that map was that it was rather large and sort of an odd size so I couldn't buy a stock frame for it. It had been rolled up and sitting in a closet for a few years. Fast forward to our basement project that is now complete (still need to take and share pics of that soon), but I knew I wanted to hang the Georgia map in our basement. I had hoped the Mr. could maybe build a frame, but you know how that goes so I took it to several framing shops and was shocked at the price it would cost to have it professionally framed. It would have been around $300 and that is with my 50-60% off coupon. Needless to say I didn't think that would be worth it so back it went into the closet. Then I happened to be scrolling Instagram and saw a friend of mine that had just hung a state map of Georgia that she'd bought from a seller on Etsy and the map was in 6 different pieces and all hung in individual frames. I had one of those light bulb moments knew that was going to be my solution. 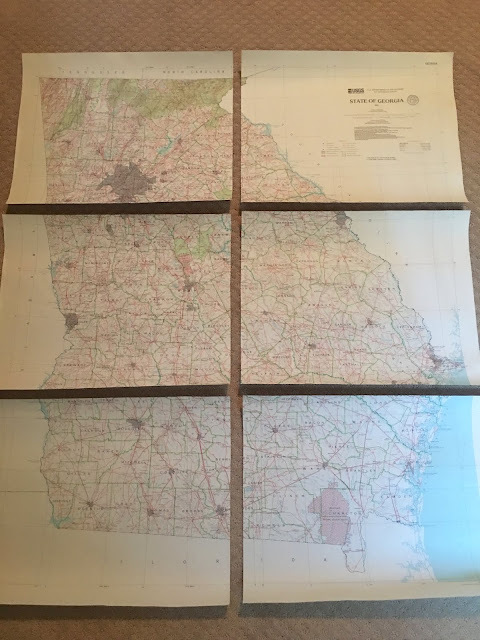 However, because the map was an odd size I'm embarrassed to say how much time I spent trying to figure out just how to cut it and what size frames to purchase. Nothing would fit exactly and then I finally came across these float frames where it wouldn't matter if it fit exactly or not. 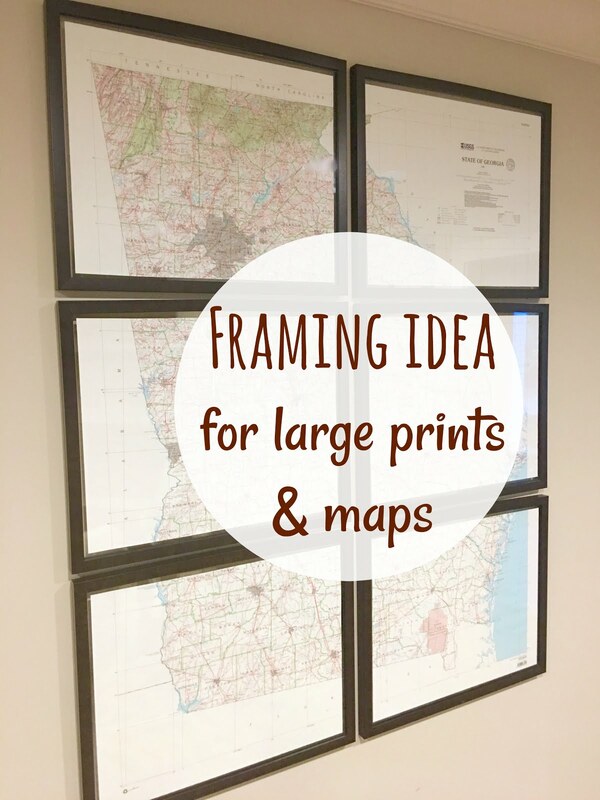 I hoped my math was correct and I bought 6 of the 16 x 20 sized frames. 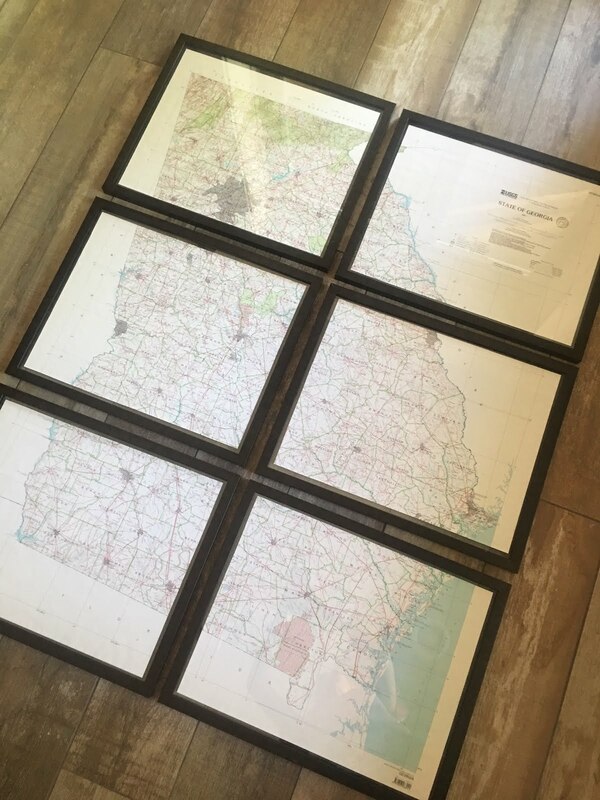 They were each $15 so WAY less expensive than the custom framing option. Using a yardstick I drew lines where I should cut and got busy with my scissors. 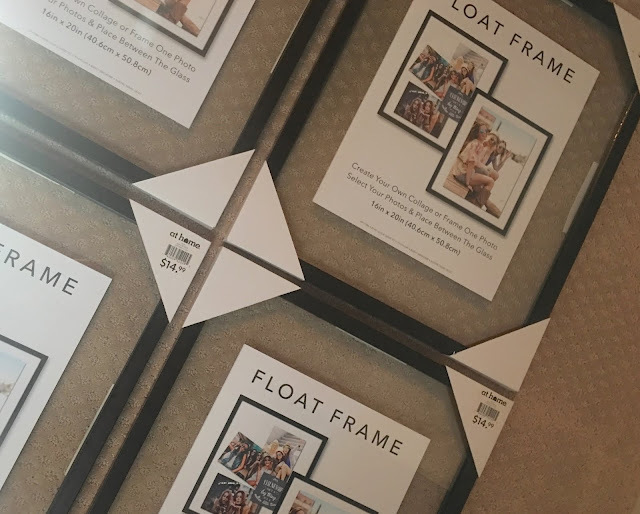 Finally I had all of the pieces in the frames and laid it out to admire how great it was going to look and while be baffled that it took me so long to finally figure out a way to frame this thing! The Mr. and I measured, remeasured and made double sure it was going to line up correctly before he started drilling holes in the wall. As soon as it was all up I stepped back and LOVED it! 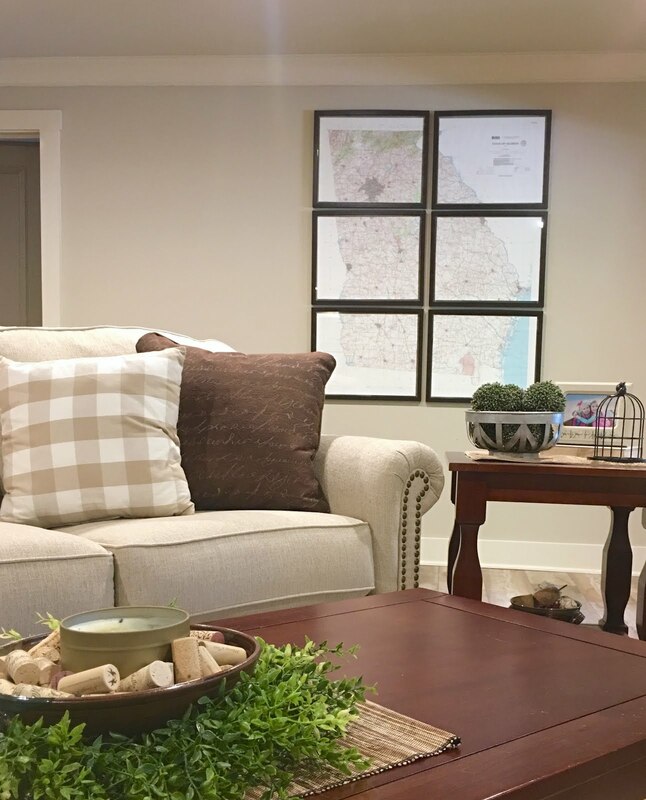 I love that it is so big and fills the empty wall that I had over there. I'm still debating getting some sort of shelves to go on either side of the map, but for now I'm so happy with how it turned out and definitely will be using this method again when I have other large prints or maps to frame. It's so much cheaper and honestly I think it make it look more interesting and unique!